March has started already, but seeing as I've just finished knitting the Gallatin Scarf and already want to cast on another one, it seems like the perfect knit-along for the month! 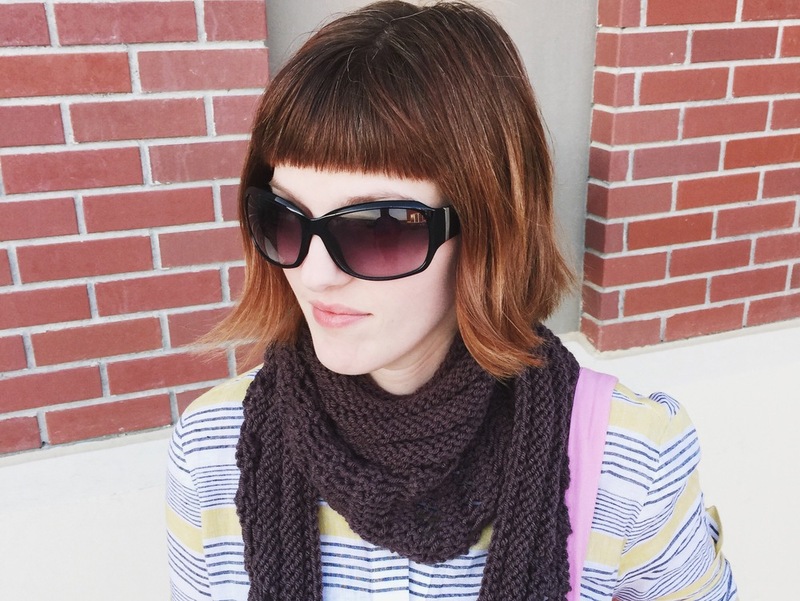 The Gallatin Scarf, designed by Kris Basta, is perfect for charity makers for many reasons. First, it's free - which we all know is ideal when knitting items you're going to give away! 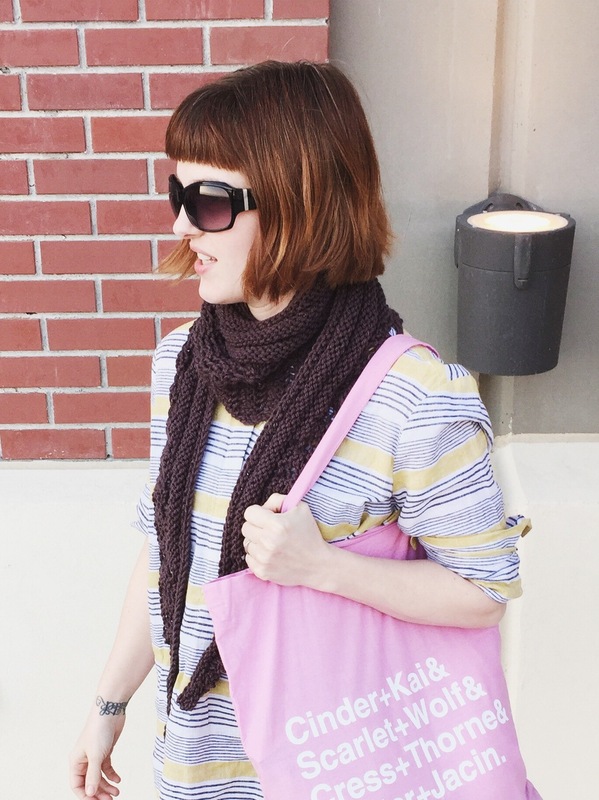 But more than that, this scarf is perfect for almost every type of charity knitter! Knit with worsted weight yarn on US size 10.5 needles (6.5mm), this is a quick knit that uses less than 200 yards of yarnfrom start to finish. My favorite part of the Gallatin Scarf? 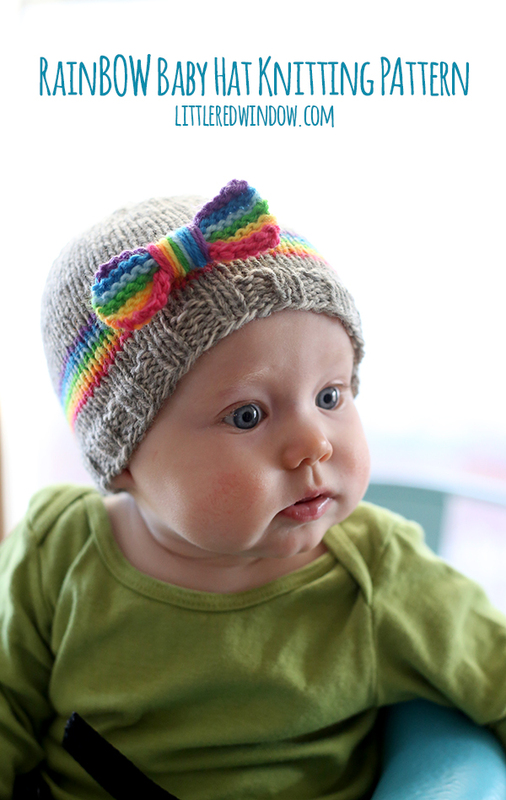 You can make it with just about any fiber yarn you choose! I made my first one (pictured above) in acrylic, but you can make this scarf in wool, and even cotton! WHY THE PINE RIDGE RESERVATION? The Pine Ridge Reservation, located in South Dakota, is one of the poorest places in America. With a 90% unemployment rate, people die incredibly young, and live their short lives in crazy terrible conditions. It makes me sad and angry that people live like this anywhere, but that it happens so close to home is especially hard to fathom. There's a group on Ravelry that constantly donates items for the people living on the reservation, and they request items of all types, sizes, and for a variety of needs. 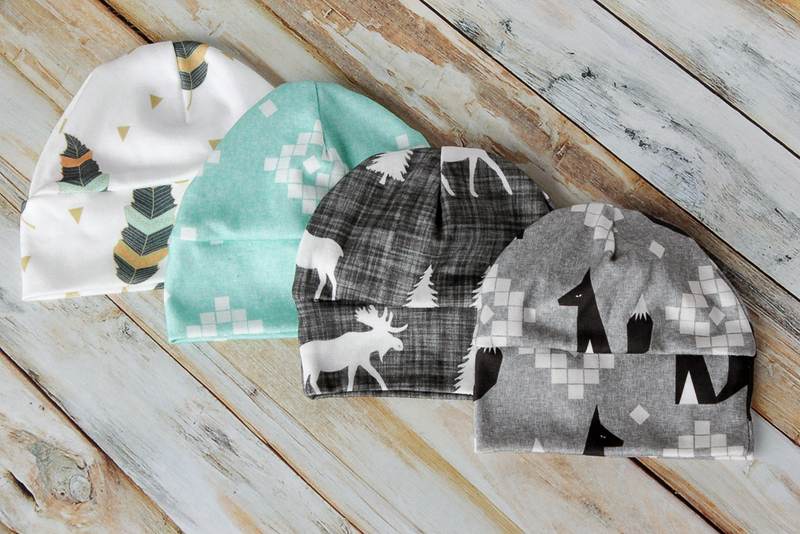 Items can be made from ANY FIBER YOU CHOOSE, so long as you tag your items when you send them! This month, we'll be focusing our efforts on the on-going women's shelter project for the reservation. In an area of extreme poverty and addiction, the women in the shelter have seenmore than I can imagine. By making a scarf in your choice of fibers, you are reminding these ladies that they are seen, they have value, they are loved. Please knit your scarves with stash yarn, in any fiber you choose. Remember to tag them (we've got a MGR specific tag you can use if you want!) so folks know what they're made of, and then check with the Ravelry group for the shipping address! And don't forget to follow along all month on Instagram (@makegiverepeat) as we make shawls to send! If you tag yours #makegiverepeat, they might even get featured on our feed! Winter has arrived in the Northern Hemisphere, and cold is settling in, even on the shores of Greece in the Mediterranean. According to my friend Alison, the temperatures feel freezing as the volunteers stand at the edge of the water pulling refugees off boats, and children are being hauled to the medical tents freezing to death thanks to a combination of wind, being soaked through their clothes from the waves, and exhaustion from their travels. One of the easiest ways to provide some extra warmth is with vests made from 100% wool, and that's where the Mini Thermal Vest pattern comes in. I shared a bit about this at the end of last year, but vests are uniquely perfect for refugees, especially when made in wool - they keep the body's main organs warm by covering the trunk of a person, all while keeping extremities free of the bulk of sweaters and blankets and such. This means vests can be layered over or under other long sleeved clothing and provide one extra layer of warmth, and when made with wool there's the added advantage of some amount of protection from the weather. And so, for January, Heather and I will be knitting Mini Thermal Vests with our wool stash. The pattern is written to create different sizes based on the yarn weight and needle you use, and the waffle pattern means your vest will almost certainly fit a refugee child perfectly. Made long and skinny, these vests can keep babies through toddlers and younger children warm all winter long as they hunker down in refugee camps or travel on after landing in Greece, hoping to find safety and freedom from fighting. As you make your vests, send them on to Salaam Cultural Museum, which is a well-known and much-respected organization doing refugee work, and which has collection addresses both in the US and in London! I'll be back early next week with my first vest, either in progress or ready to share, and some of the hints I may come up with as I've been knitting! Happy new year, and happy knitting! 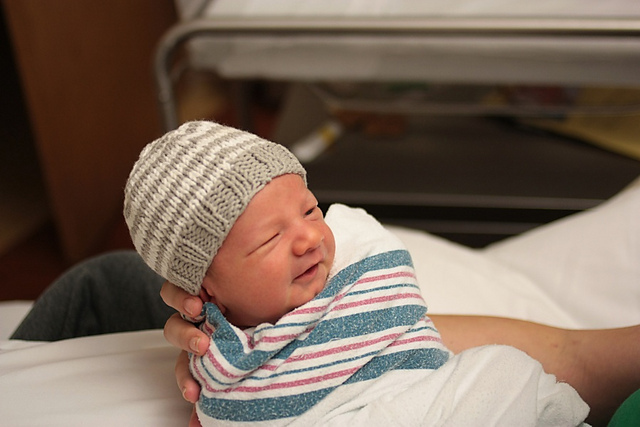 The Point Of Hope Hat is a free hat pattern meant for chemo cap donations. The pattern is reversible, which means the recepient can choose which side they like best. 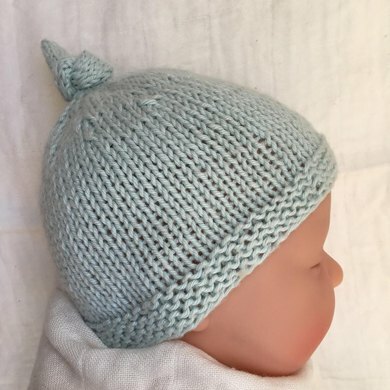 The pattern also works well for men or women, depending on the color yarn chosen. When looking at people's project notes on Ravelry, several have suggested sizing down to a needle size 8 / 5.0 mm for a tighter gauge, so keep that in mind. 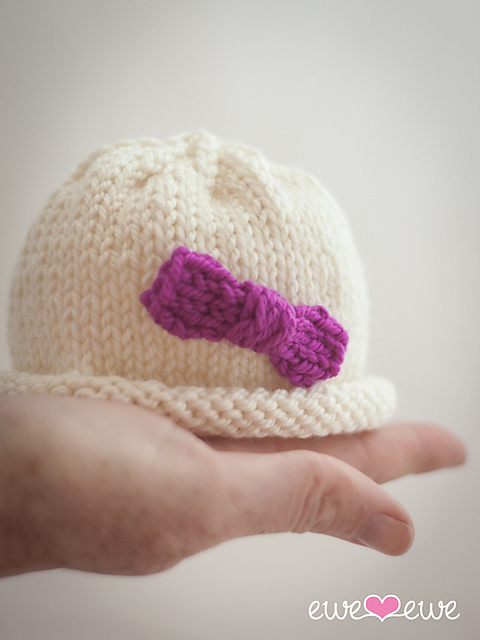 If you are a looser knitter, this may be just the note you need to get the perfect sized hat! Several folks also said they made one extra repeat of the pattern before decreases, so keep that in mind, as well. Robyn and Heather will be working this pattern up and sharing it on Instagram throughout the month, and we invite you to knit along with us for Knots of Love!